An in form CSK side, needing just 2 more wins to secure their playoff spot travel to Hyderabad to take on a struggling SRH. Sunrisers Hyderabad are in a state of fix right now having already lost four games this campaign. The side has always been known for their consistency through the years and they haven’t seen such blips in recent times. It was evident from the 4 changes in their previous encounter vs DC that they were desperately searching for a win. Having so far analysed their campaign, one could clearly point out two main reasons for SRH’s dismal form. A side always known for their batting line-up, this season has seen them depend solely on their openers. Similarly their bowlers have failed to live up to the previous season’s performances that saw them reach the finals. With them desperately requiring a win to stay alive in the competition, they will face the table toppers CSK tonight. CSK require just 2 more wins to guarantee their playoffs berth. Keeping this in mind, the side will not look to rush Bravo into the eleven anytime soon. The form of Watson and Rayudu worries the visitors but they will take inspiration from the fact that both performed exceptionally well vs SRH last season and might expect them to finally come to the party tonight. SRH removed both Pandey and Yusuf last game and their replacements didn’t fare well against the likes of Rabada and Morris. It looks likely that the duo will return to the starting lineup. Dhoni has no reasons to change his side having just beaten KKR in their own backyard. He will most likely play the same eleven. 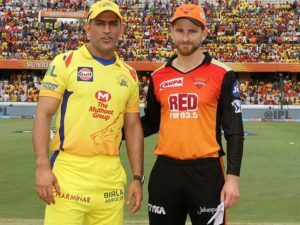 SRH: David Warner, Jonny Bairstow (WK), Kane Williamson (C), Vijay Shankar, Yusuf Pathan, Deepak Hooda, Abhishek Sharma, Rashid Khan, Bhuvneshwar Kumar, Khaleel Ahmed, Siddharth Kaul. 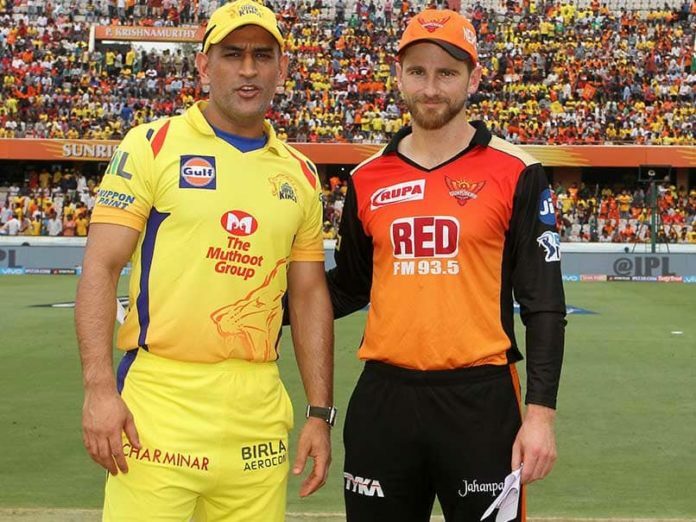 CSK: Shane Watson, Faf du Plessis, Suresh Raina, Ambati Rayudu, MS Dhoni (C & WK), Kedar Jadhav, Ravindra Jadeja, Mitchell Santner, Deepak Chahar, Shardul Thakur, Imran Tahir.